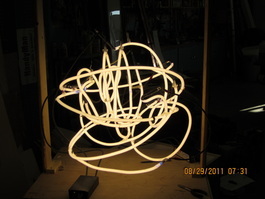 At Ole Lang Signs we take our neon work very seriously. We are one of the very few sign shops in Toronto and the surrounding area to do our own in house tube bending and repairs. We have cut out the middle man which means faster and more accurate service for you! We take care of you from conception to installation and maintenance. Pixels (2015) - photos coming soon!